U.S. Senator Tim Kaine, a member of the Senate Armed Services Committee, released the following statement on the report released today by the Military Compensation and Retirement Modernization Commission (MCRMC). 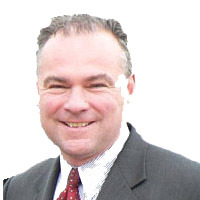 Last year, Kaine and U.S. Senator John Cornyn (R–TX) introduced legislation and an amendment that was adopted into the FY2015 National Defense Authorization Act (NDAA) which directed the Military Compensation and Retirement Modernization Commission to survey servicemembers on their compensation preferences.